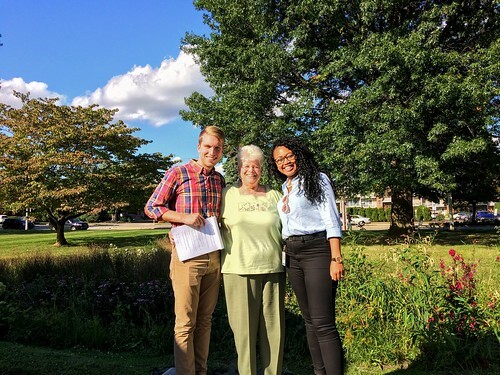 As an early adopter of green infrastructure and Stormwater Management Incentives Program (SMIP) grant recipient, Bethesda Presbyterian's congregation blazed a trail for other faith-based organizations to follow and are committed to protecting Philadelphia’s water. Fortunately, Joan Wilson, a church elder, was determined to reduce that stormwater charge. Philadelphia Water works to protect our rivers and planet in a number of ways. Clockwise from top left: Solar panels at our Southeast Water Pollution Control Plant; a Green City, Clean Waters tree trench in East Falls; part of our Biogas Cogeneration system; Philadelphia Water volunteers at a March 2016 Bartram’s Garden cleanup that removed 12,927 pounds of trash from the Schuylkill River’s banks. While the Philadelphia Water Department’s core mission is to provide our 1.5 million customers with constant access to safe, clean drinking water, a big part of doing that job involves protecting and improving our local rivers and creeks. After all, providing top quality drinking water is a lot easier when you take care of your source water. That simple fact makes Philadelphia Water, in many ways, an environmental institution. Green City, Clean Waters Is About to Grow Up. We Want to Hear from You. What should Philly’s green infrastructure to look like in 2021? Tell us here. Clockwise from top left: A stormwater bumpout near the Daroff Samuel School in West Phila. ; rain garden in East Kensington; stormwater basin at Kemble Park in North Phila. ; stormwater tree trench on Washington Ave. in South Phila. ; Credit: Philadelphia Water. This June is a big one for Philadelphia Water. Green City, Clean Waters—our revolutionary program to drastically reduce stormwater pollution and sewer overflows using green infrastructure—is turning five. That means we're going from proving that we can build green tools that work to building a green infrastructure network that operates on a much bigger scale.